You are currently browsing articles tagged ranunculus. 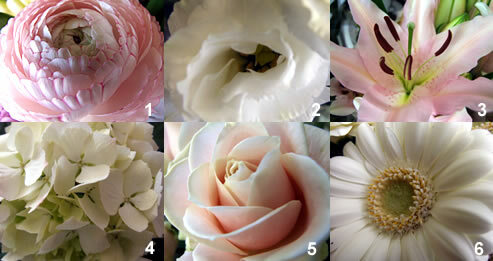 Can you work out which of the flowers above costs the least and which is the most expensive? extra points if you can put all 6 in order of price (The answers are at the bottom of the article). The flowers & plant association has a very useful guide to flower prices, perfect if you don’t know a dahlia from a delphinium. Setting a budget for your wedding flowers can seem daunting, especially since the price depends a lot on what flowers you choose. Before you set your heart on a particular flower or design, work out what you can afford and tell your florist roughly what your budget is. 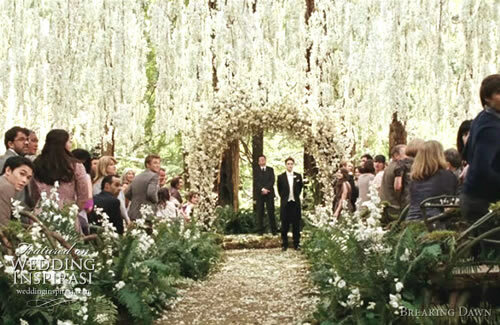 If you have no idea what flowers cost, as a rough guide allocate around 10% of your overall wedding budget to flowers. 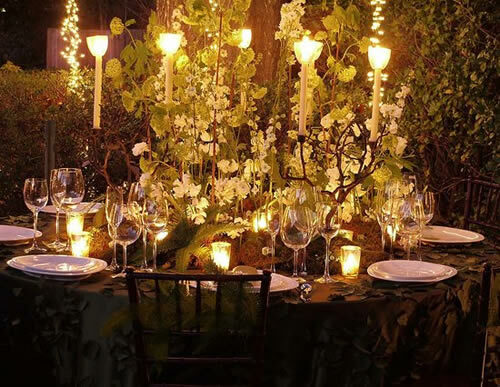 Your florist will be able to give you a good idea of what you will get for your money and advise you on suitable flowers and designs that fit within your budget. 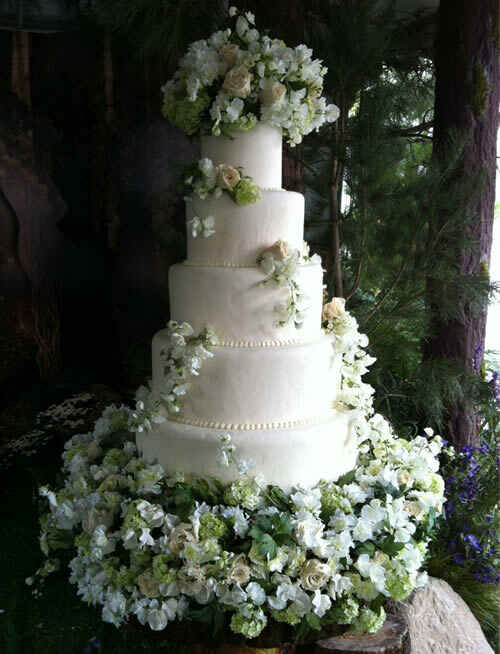 If you are on a tight budget your florist will help you make the most of your money. 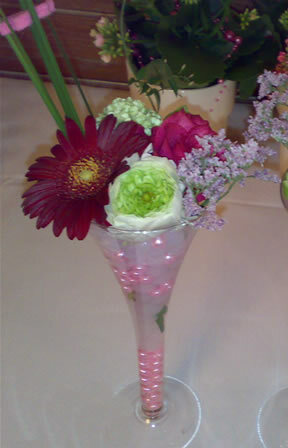 They are the floral experts and know lots of clever techniques and special touches to give your flowers the maximum impact without blowing the budget. A recent survey showed the average amount spent on wedding flowers is £200 – £400, 60% of florists surveyed placed their average order value within this range. 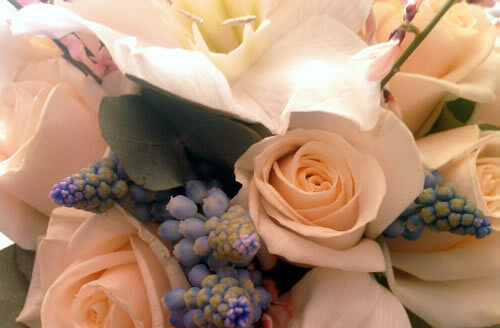 For that amount brides received a bridal bouquet, bride’s maid bouquets, button holes and a top table arrangement. Nearly 30% of couples spend £400-£1000, they received the bridal bouquet, bride’s maid flowers, button holes, top table flowers and reception table flowers. 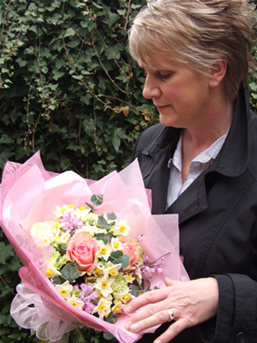 The price of flowers is also dependant on the time of year, around St Valentine’s Day and Mother’s Day nearly all flowers are more expensive because of demand. 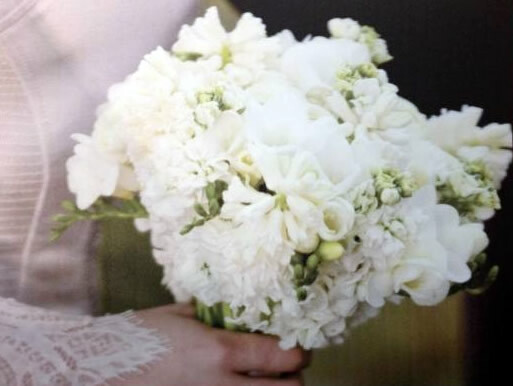 The types of flowers you choose will affect the price, some flowers like carnations may cost a pound a stem, others like calla lilies could be six or seven pounds a stem. 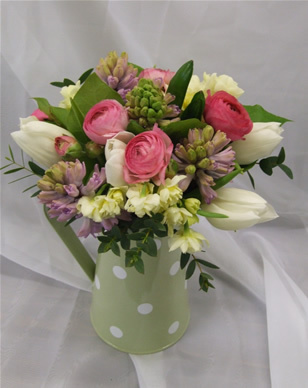 If you choose a loose informal style for your flowers they will have more foliage and require fewer flowers, whereas a compact style arrangement with no foliage will need a lot more flowers per arrangement. Don’t get hung up about all this information though, good florists are like miniature flower encyclopedias, packed full of information on flowers, prices and ideas. 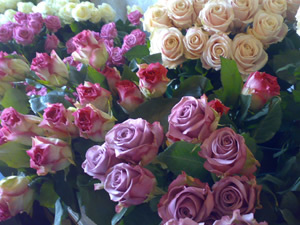 They will know all the tips and tricks to ensure your flowers look fantastic whatever your budget. So were you right? The flowers are in ascending order starting with the cheapest, gerbera. The Ranunculus is a member of the Ranunculaceae family. There are about 400 species of Ranunculus in the wild which include the buttercup. 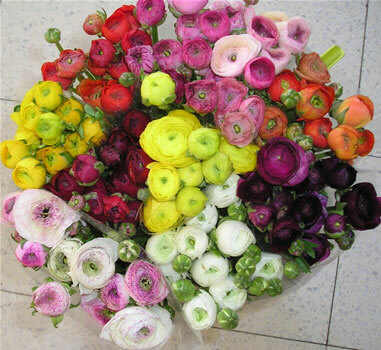 The only species used commercially by florists is Ranunculus Asiaticus, it has many petals and a ruffly appearance. Most of the other species are single petalled varieties that look similar to common buttercups. 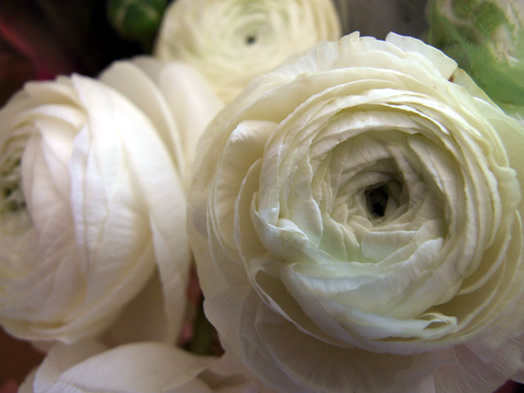 Ranunculus comes from the Latin ‘Rana’ which means frog. This is because in the wild they live near water and marshlands like frogs. They are grown from corms and are also popular as garden plants due to the many colours they are available in and their hardiness. 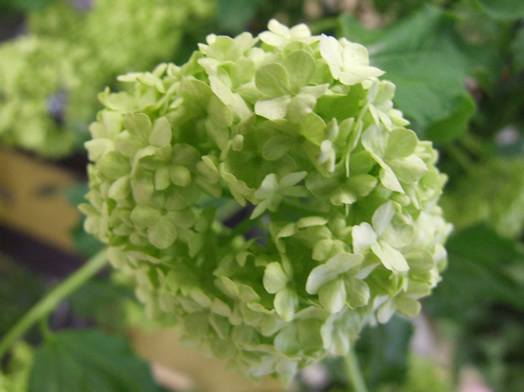 They are available in winter and spring and grow to about 60cm. 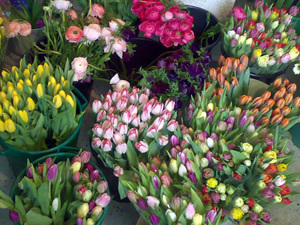 They are a great flower to add colour to spring bouquets and arrangements as they come in so many bright colours. They last well with a vase life of 10 to 14 days, which is very good for a spring flower, especially since they are cut at a mature stage when they are showing colour. 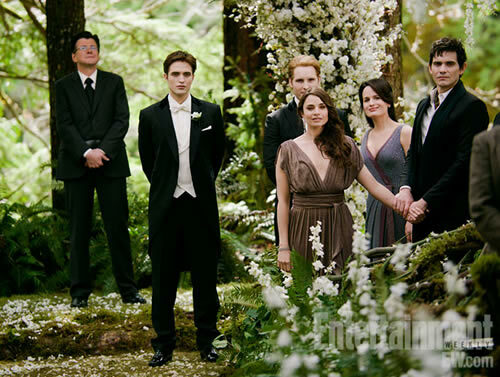 They also come in beautiful soft pastel shades such as soft peach and pink. 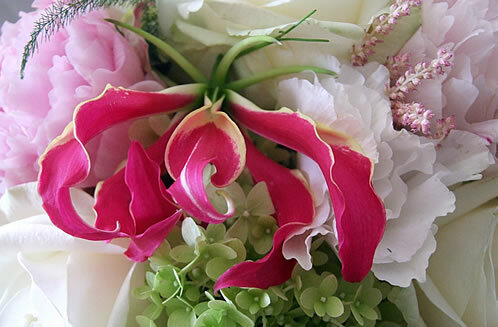 These are popular in wedding bouquets for their romantic quality and perfect compact shape.